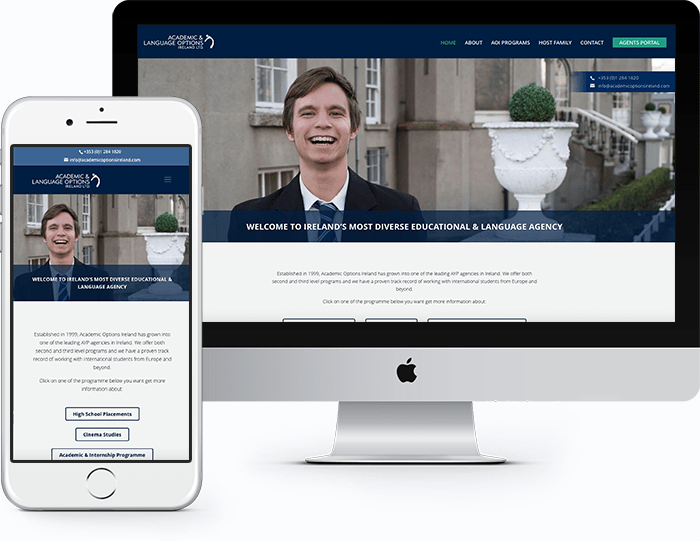 Academic & Language Options Ireland came to us looking for a modern clean website which would work well across all devices. They also needed an agents portal for all the members to be able to login to see the various schools in the group. Each school in the agents portal has a description, image, map and curriculum details.